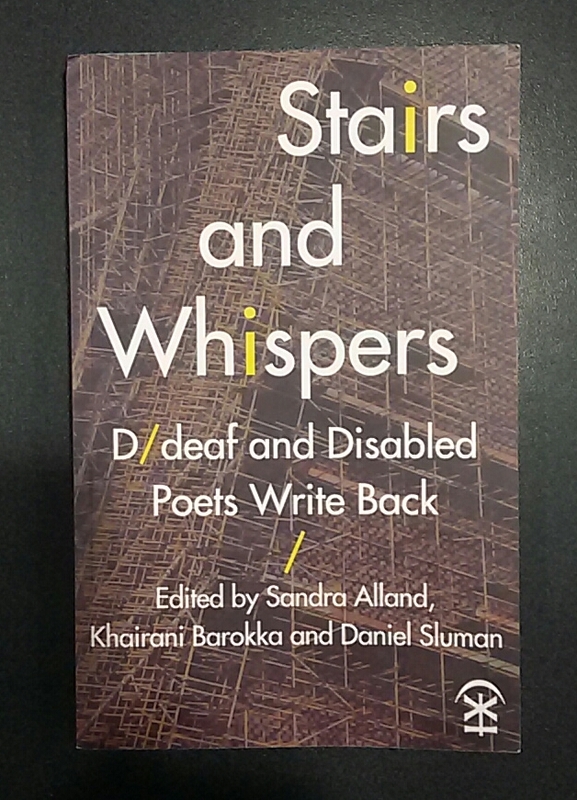 Supported through Crowdfunder and published by Nine Arches Press, Stairs and Whispers: D/deaf and Disabled Poets Write Back is an invaluable addition to disability literature. Edited by Sandra Alland, Khairani Barokka and Daniel Sluman who themselves have disability, the anthology examines D/deaf and disabled poetics from personal, social and political perspectives, culminating in a beautifully rich collection of voices. showcase a diversity of opinions and survival strategies for an ableist world. It’s gritty stuff; confronting perceptions of people who are considered and/or observed to be different. Some work is followed by a short biography offering further insight into its contributors. And there are a plethora of conditions both visible and unseen – deafness, absent limbs, MS, mental illness, autism, rheumatoid arthritis to name a few – stripped bare and laid out in indelible forms. The idea for the anthology came from a desire to create a UK equivalent to the American anthology Beauty is a Verb: The New Poetry of Disability. 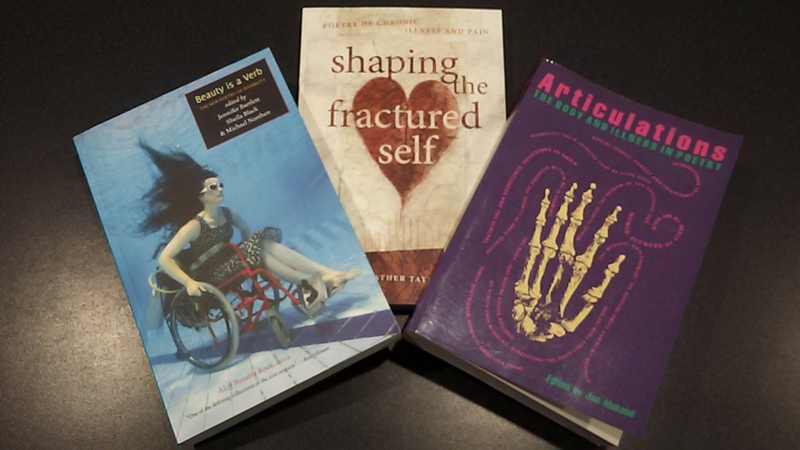 Interestingly, this has recently been achieved here in Australia with Shaping the Fractured Self: Poetry of Chronic Illness and Pain, developed as a companion to Articulations: The Body and Illness in Poetry in the US. This is an expanding field; one we should all make time to explore.